The most colorful outdoor season of the year is here. 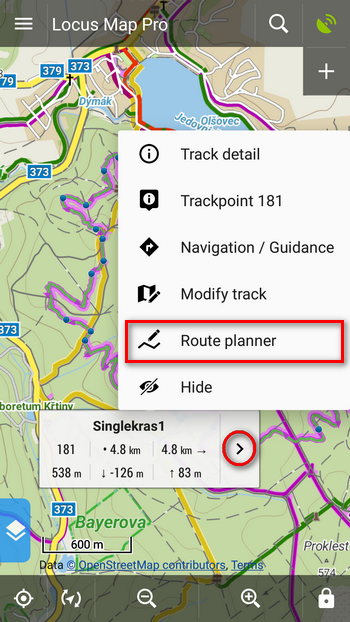 To make it more enjoyable for you, we prepared this new version with two major novelties: handy Route Planner and Track Editor. There are of course some other nice improvements on top. Although the vast majority of modern android phones have large screens, planning routes on a mobile is still not a comfortable matter. We have decided to change it. First of all, we completely re-designed the route planner screen. 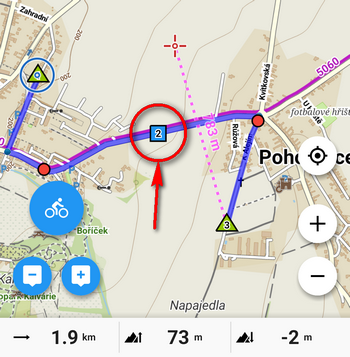 The planner can create the route along the roads and paths automatically. You just need to select a drawing mode according to your activity. Then, the route si drawn between the shaping points. If you choose walking, the route runs along footpaths, if you chose a bike the planner uses roads. 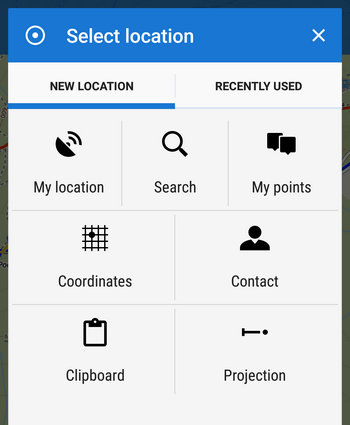 You can manage the route by freely moving of shaping points and auxiliary points . 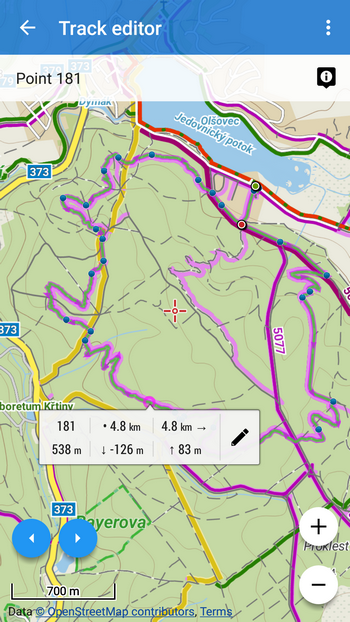 Besides you control the elevation gain of the route in the bottom bar where the chart changes accordingly. To navigate through certain places even during recalculation while driving, change the shaping point to the via-point – tap it and select “Change to via point“. The via-points, marked , can be named – the name will then be heard in the voice navigation. 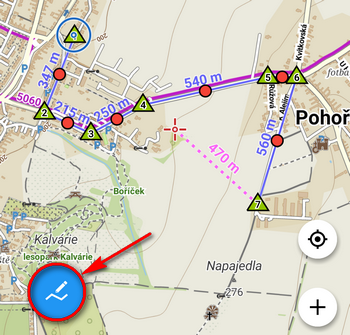 You can also add LoMap points of interest (POIs) to your route. 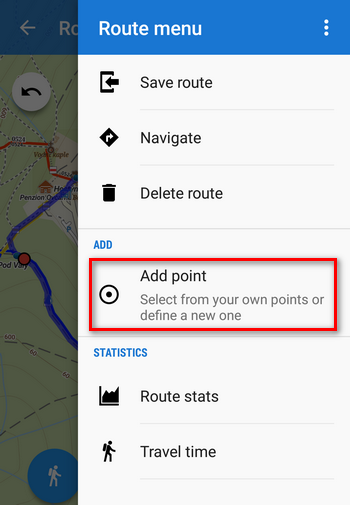 Tap the point and select an option where the point should be located – at the start, in the middle or at the end of the route. Such a point is automatically marked as via point. 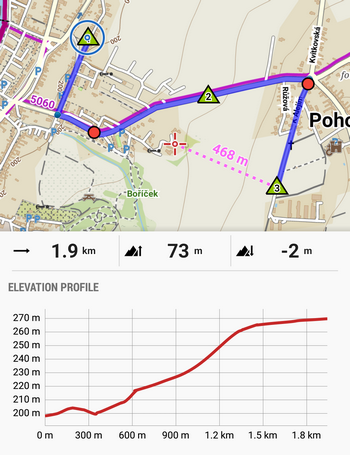 Detailed statistics and elevation chart of the route plus estimated Travel time can be found in the route menu as well. You can navigate along the new route simply by taping the Navigate button. When your planned route is finished, it’s necessary to save it. 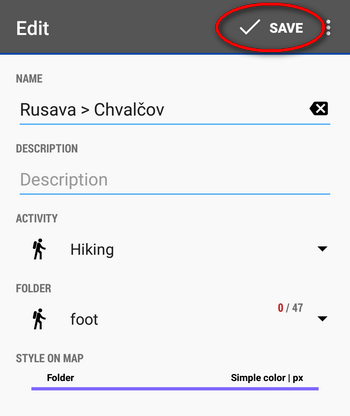 In Route menu, tap Save route, name it and select the folder and activity. If you want to abort all your editing, tap “Delete route” in the route menu. or insert a gap etc. 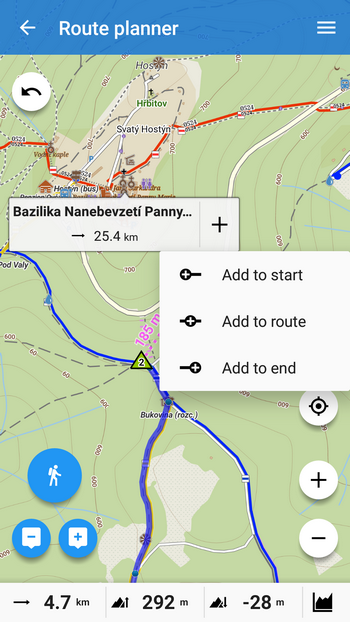 Cursor is placed on the spot of the track you tapped which pops up a label, showing trackpoint stats – distance from the start and from the end of the track, elevation gain etc. move the cursor along the track from one trackpoint to another for their precise selection. 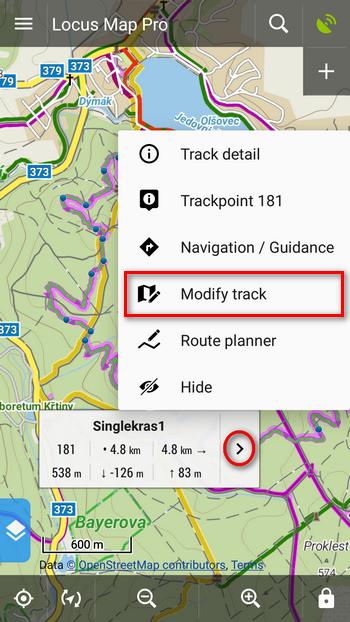 cut various parts of the track – inner part, from the start to the selected point or from the point to the end – useful for example when you forget to stop track recording of your the trip when you get the bike on your car roof rack and travel home. If you have multiple day track record, you can split it in individual days. You can also insert a gap for the case you traveled through a tunnel and want to hide the line connecting GPS-fixed trackpoints. All changes must be confirmed in the topbar. And now, put your phone in your pocket and get outdoors! And don’t forget to take autumn-nature-colorful-leaves pictures and share them with us! Je spústa možností editácie farby a ich kombinácií záznamu a návrhu. Chýba mi možnosť prerušovane (bodkovane atď) tak aby neprekryl mapu úplne. Je k dispozícii priehľadnosť, ale nie je to ono. Často sa pohybujem po neznačených cestách a chcel by som vidieť či tam bola červená alebo zelená lesná cesta z WMS. zdravíme, v nastavení stylu linie trasy vypněte linii, zapněte vzor (tečky, šipky…) a zvolte barvu. Výsledkem je to, co potřebujete. 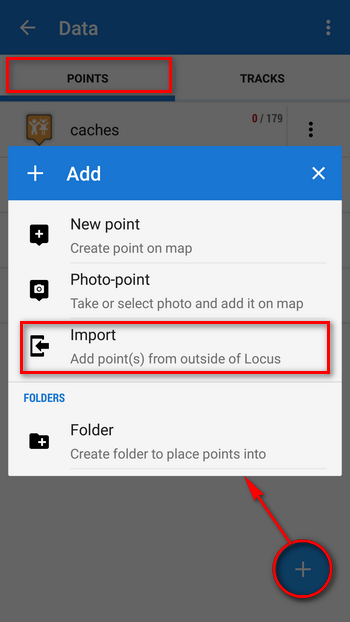 Locus Map is a completely mobile app without web or desktop background. 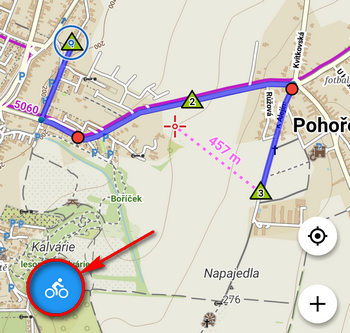 If you want to use Komoot routes, export them from Komoot website as GPX and import to Locus. great improvements, BUT there is one big downfall for me in this update. I used to work a lot with coursepoints (navigation waypoints with arrow icons) during creating/editing tracks. That was easy before update as I could go through all trackpoints by clicking on arrows and select whether I want to add or erase navigation points. Now, I am able to go through trackpoints via “edit track” but I am not able to change navigation points like this. 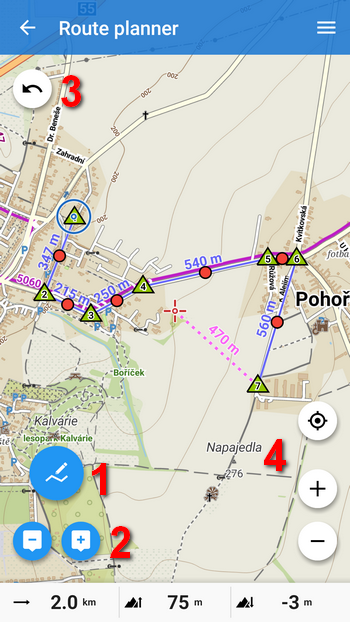 I even don’t know how to do it at all now, as “+” button under track waypoints screen can add only ordinary waypoints and not the navigation waypoints with arrows. 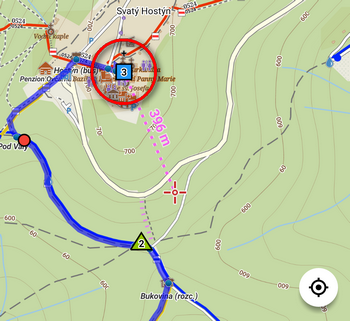 So now it seems navigation points in tracks can be only automatically generated, but they are not manually editable. Am I missing something? I can provide some screenshots if necessary. Oh great, I missed this, thanks! 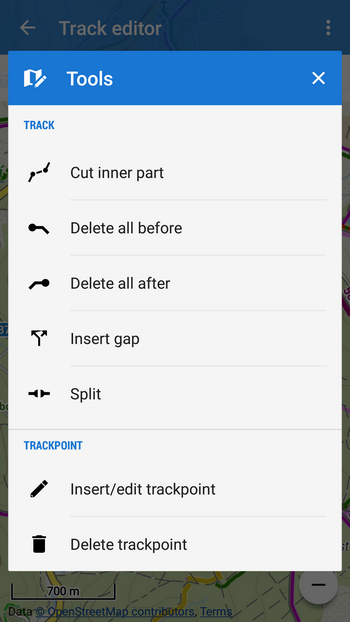 So no complains here, but anyway I would still prefer option to create/delete navigation points even in track editor under tools menu for particular trackpoint. It was more convenient to work with them using buttons for next/previous trackpoint selection mainly on tracks which cross itself, so there are more navigation points on single location. But I see everything can be done even now under route planner, so this is only about usability comfort. Rád by som vedel ako si môžem zmeniť formát suradnice . Great changes, thanks from Germany! Absolutely fantastic. Greatest feature in the best app ever! Honestly you are doing a great job. That’s one of the best changes recently! Very nicely implemented. Thanks a lot. Amazing work menion… as always. But the captcha on this comment form doesn’t work on Chrome mobile… needed to reload the desktop version of the page. Hi, sorry about that… but it’s a WordPress plugin, we don’t develop it. Perhaps an update will help. Any way we can get the router to follow existing/visible user tracks when the router doesn’t know the route? Right now, I have to create 2 or 3 tracks and merge them together… it’s a bit cumbersome. This would be a dream feature for me! Thanks for creating the best Android app there is!!!! !